From the beginning, I knew that I wanted my daughter to be on a schedule. She’s hardly ever cranky, and I like that. In fact, I often get asked if my daughter ever cries. She does cry but not as often as other kids, and I have her schedule to thank for that. 1. Take a stroll around the block. I like to point out and talk about the different flowers and trees in our neighbors yards. 2. Go to a local store. We have party supply store around the corner, and my daughter just loves all of the different colors and textures. 3. Enjoy your yard! Our next door neighbor has an avocado tree. 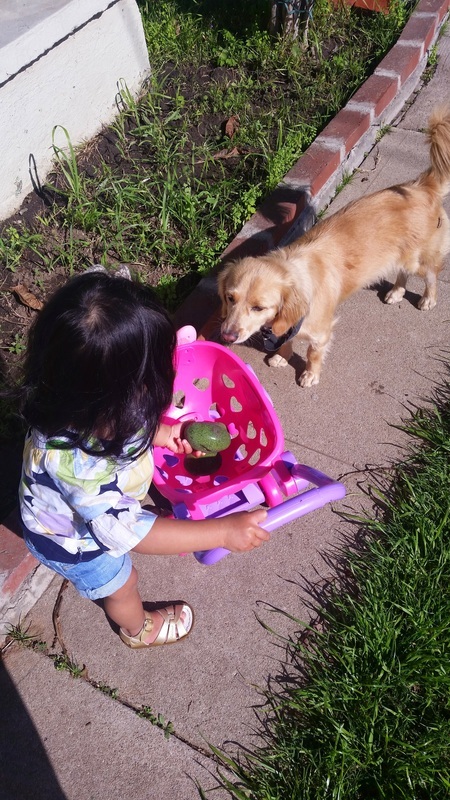 They are unsafe for our dog to eat so I let my daughter bring out her play shopping cart and collect all of the fallen avocados. 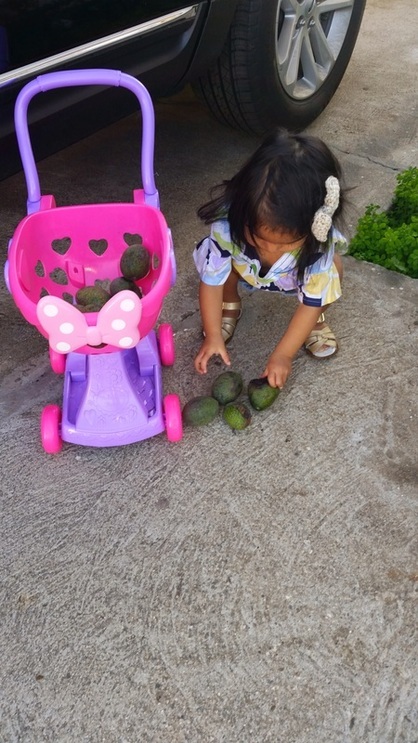 We all know how much toddlers love to collect things. A breath of fresh air and a change of scenery helps release stress. If you are a stay at home or a working from a home parent, don’t forget to take a break. You and your child need it. Life is not all about all work and no play!